G-Eazy has ended his partnership with H&M over a ''racist'' campaign by the clothing brand, following in the footsteps of The Weeknd. 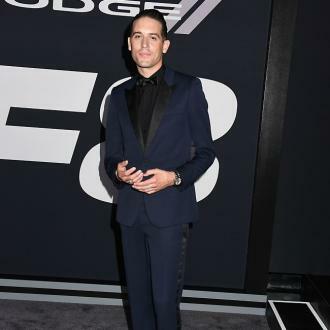 G-Eazy has followed in The Weeknd's footsteps and has ended his partnership with H&M after one of its advertising campaigns was accused of being racist. In one of the clothing chain's advertising campaigns, they enlisted a black child model to wear a jumper that read ''coolest monkey in the jungle'' and now the 'Good Life' rapper has pulled his upcoming collaboration with the brand as he doesn't want his name to be associated with the company. G-Eazy wrote on Instagram: ''Over the past months I was genuinely excited about launching my upcoming line and collaboration with @HM ... Unfortunately, after seeing the disturbing image yesterday, my excitement over our global campaign quickly evaporated, and I've decided at this time our partnership needs to end. It comes after The Weeknd said he was ''shocked, embarrassed and deeply offended'' by the advert. H&M are still selling the hoodie but the advertising picture has now been changed.